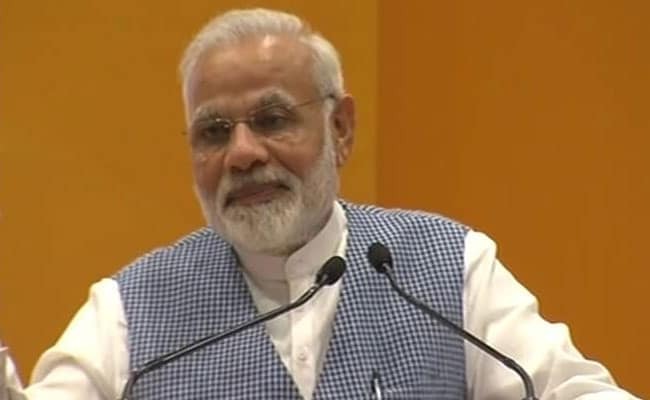 Prime Minister Narendra Modi is addressing nearly 200 industry leaders today to discuss a range of subjects including economic growth and jobs. The two-day event is part of the "Champions of Change" programme organised by the think tank Niti Aayog. Their views could be part of the 15-year vision document Niti Aayog is preparing. Addressing the CEOs, the Prime Minister said developing India should be taken up with a zeal. Citing the example of how Mahatma Gandhi turned freedom struggle into a mass movement, he said, "In the same spirit as what Mahatma Gandhi did for the freedom struggle, we need to make India's development a mass movement."